You want to have an interesting and inviting home, that way when your friends come over they can all put down their phones and mobile games for a while and enjoy eachother’s company. One way to accomplish this is to have elements in your home that are unique and unusual. This is a great method to get conversation flowing during family gatherings, parties, or even one-on-one meetings. Fantastic ways to achieve this would be to add one or more of the following conversation starters to your home’s interior. If you are interested in a subject, share your interest with your guests by displaying large coffee table books that reflect your personality. Editions on art, architecture, cars, antiques, and aviation would all make interesting focal points for visitors to your home. Place them where they are very accessible and easily examined. We’ve all seen the generic art for sale in department and furniture stores. Original art is so much more compelling and could also make a wonderful conversation starter. It could be a painting by a famous artist, a family member, or a local artist. Whatever the case, discussions about the techniques used, the interesting visuals portrayed, or the background and education of the painter would all make great, in-depth topics. Sometimes the best showstopper is the use of color. Paint an accent wall an interesting shade of purple, black, green, or gray. Use this as a backdrop for art, an array of family photos, or even an interesting potted plant. Cover a piece of furniture with an unexpected pop of vibrant color to give an area life and interest. For example, painting a rocking chair an aqua blue would make it stand out from the rest of the room. 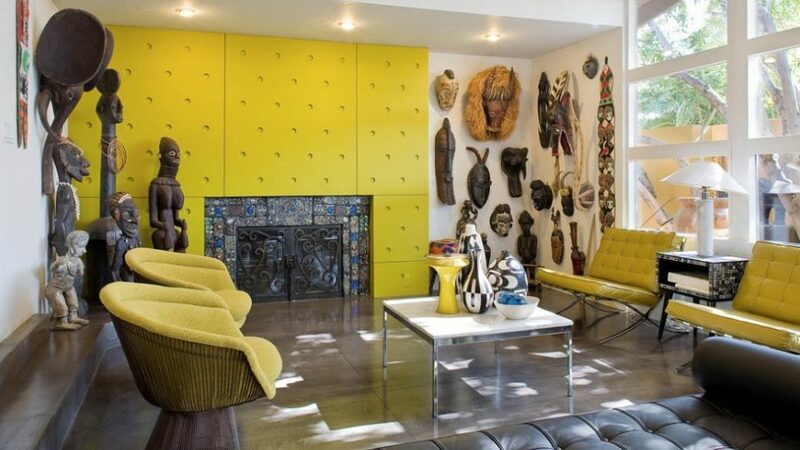 Choose an eclectic piece of furniture in a visible part of your residence. Interesting and unexpected pieces of furniture could include a wooden coffee table made from pallets, a reading corner consisting of a vintage dentist chair, or a church pew providing mudroom seating. Great sources for locating different ideas and types of these pieces would include decorating magazines, flea market books, and distinctive online websites. As you can see, it is not difficult to make your home a place that you can be proud of. Adding points of interest will give unique opportunities to have engaging talks with those you love and with individuals whom you would like to get to know better.